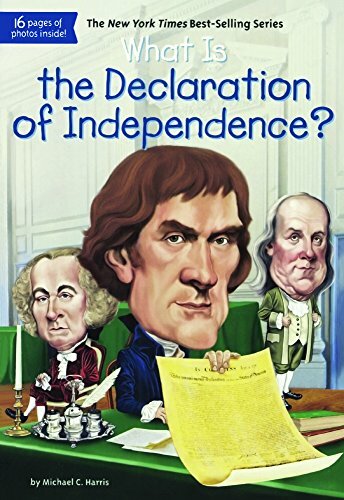 [PDF] What Is The Declaration Of Independence? (Turtleback School & Library Binding Edition) (What Was...?) | Free eBooks Download - EBOOKEE! Description: 044848692X Step back in time to the birth of America and meet the real-life rebels who made this country free! On a hot summer day near Philadelphia in 1776, Thomas Jefferson sat at his desk and wrote furiously until early the next morning. He was drafting the Declaration of Independence, a document that would sever this country's ties with Britain and announce a new nationâ€”The United States of America. Colonists were willing to risk their lives for freedom, and the Declaration of Independence made that official. Discover the true story of one of the most radical and uplifting documents in history and follow the action that fueled the Revolutionary War. No comments for "[PDF] What Is The Declaration Of Independence? (Turtleback School & Library Binding Edition) (What Was...? )".